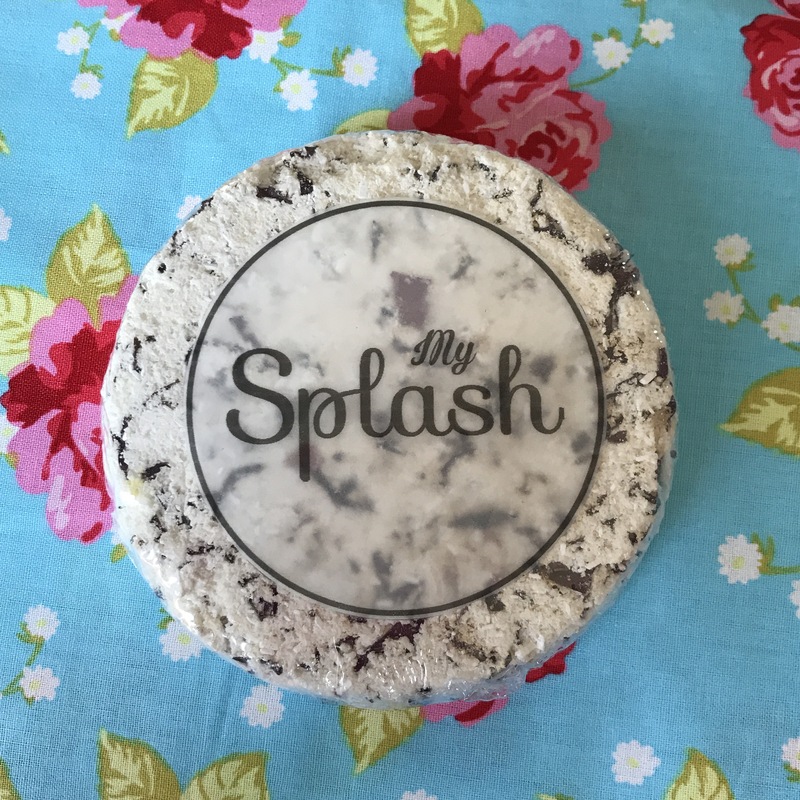 Splash Soaps are perfect for adding some fun to your bathing routine! These soaps are handcrafted with love making them truly special! These Rock Soaps are SO COOL! 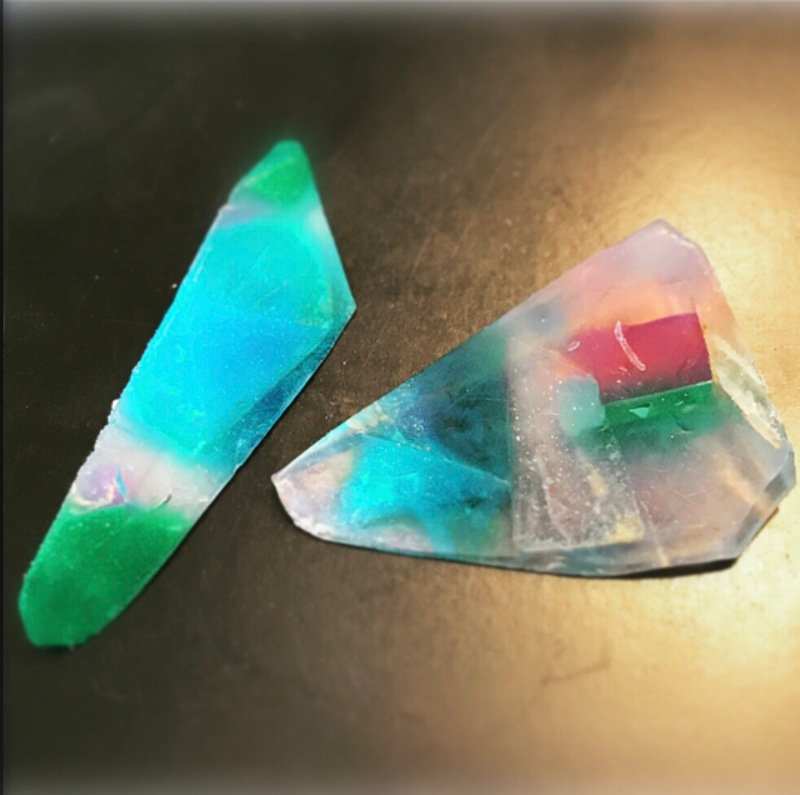 These glycerin soaps are clear with vibrant pops of gemstone-like colors. Every soap is different in shape, size, and color. I’ve never seen anything like these before! 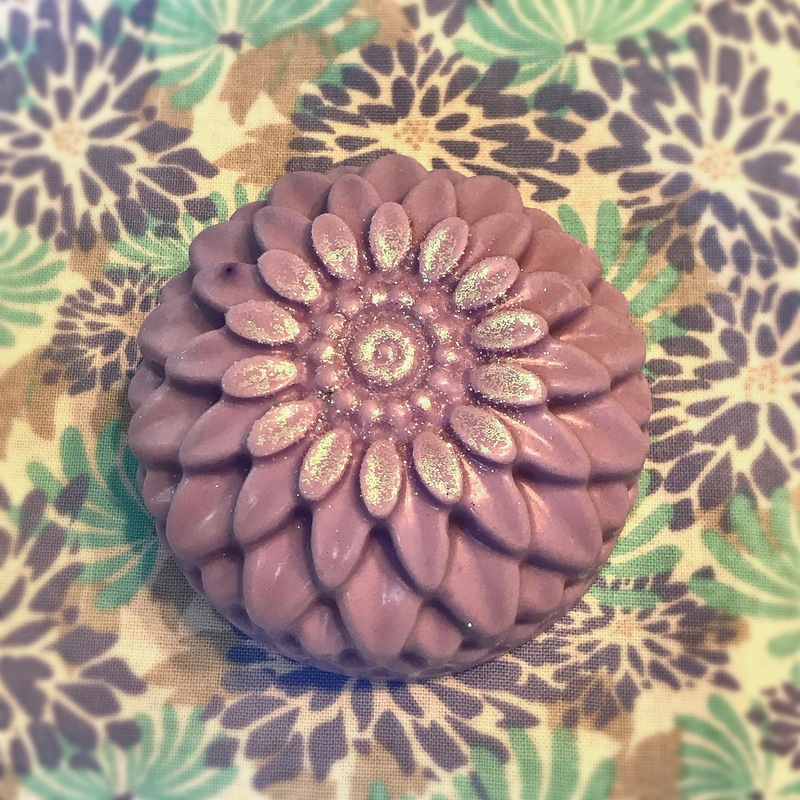 This lavender flower soap is as cute as can be! The beautiful purple shade has irridescent glitter that catches the light and just glows! It looks so pretty on your countertop! It easily lathers up and shea butter leaves your hands feeling soft and beautiful. 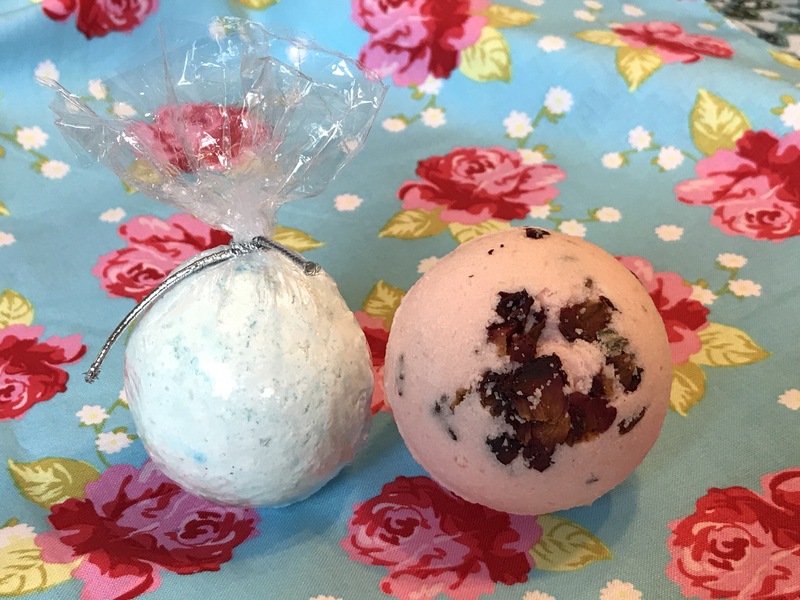 Right now, Bath Bombs and Rose products are taking over the internet and everyone’s bathtubs, so you really can’t go wrong with this English Rose Bath Bomb! It smells like fresh roses and leaves behind the floral scent on your skin after taking a long, relaxing bath. My skin smelled gorgeous after using this and was definitely moisturized, thanks to coconut oil! Who says you need your partner to give you a bouquet of roses? 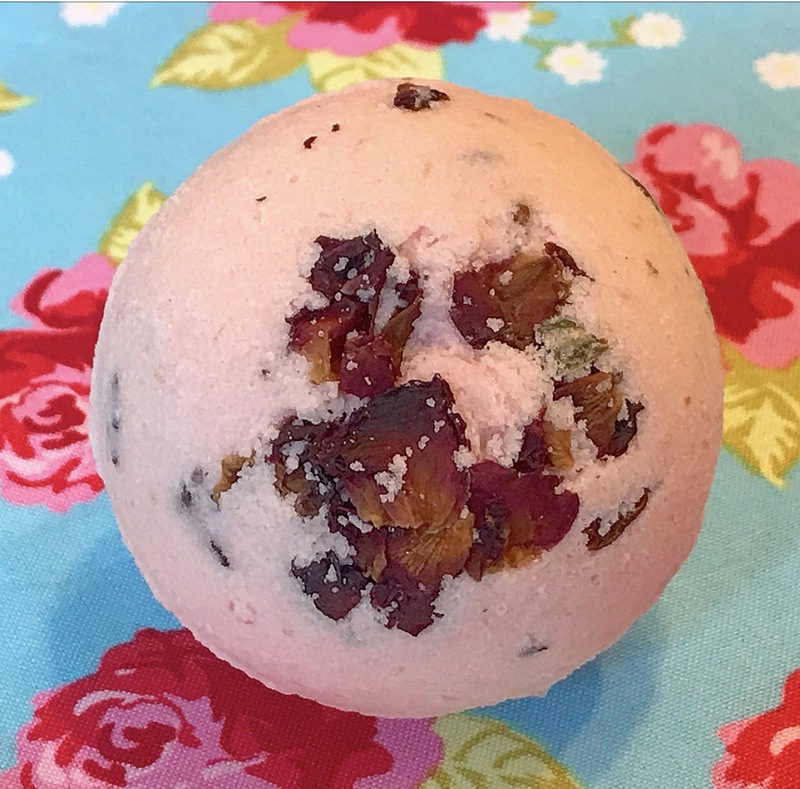 Drop this English Rose Bath Bomb into your bathtub, pour yourself a glass of wine, and you’re all set! This big, fizzy bath bomb is for your feet (they deserve to have their own moment, right?)! It quickly dissolves in warm bath water and contains shea butter and dried mint leaves. If you have ever used bath bombs or soaks that contain dried flowers or herbs, you know that it feels like floating in a big cup of tea! If you’re looking for a bunch of bubbles, this isn’t for you. If you’re looking for a relaxing, aromatic foot bath after a long day, you’ll love this one! This Clean Linen Scented Bath Bomb is fizzy, smells fresh and wonderful, and softens your skin thanks to shea butter! I love bath bombs that moisturize the skin because it really is the most convenience way to hydrate your entire body (and unwind at the same time). These bath bombs contain shea or coconut butter. Both ingredients are excellent all around moisturizers, yay! 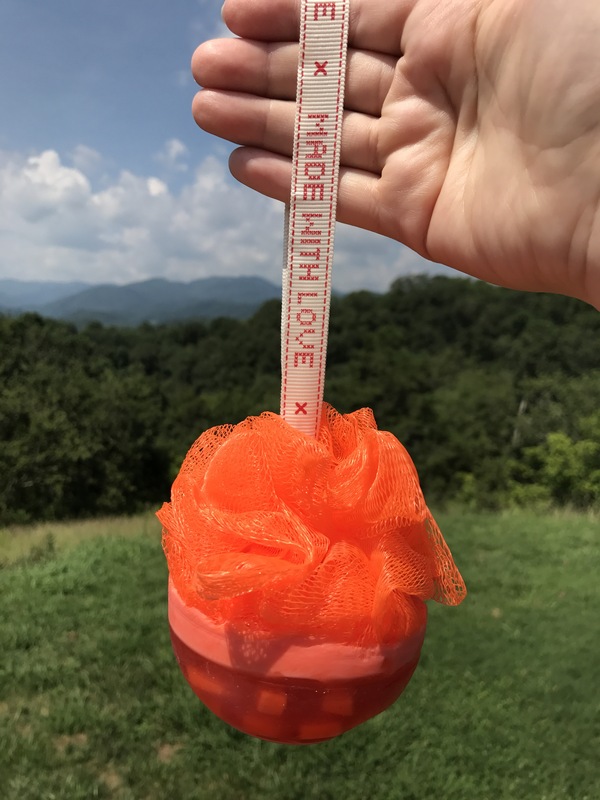 It is easy to see that Splash Soaps products are made with love, care and attention. They are as cute as can be, but they also leave your skin clean and hydrated. With their wide range of truly unique soaps and bath bombs, I highly recommend Splash Soaps! Their website is currently under construction, but you can check out their products on their Instagram feed @my.splash. I will link to the products when the website is up, so check this post for updates! Thank you, Splash Soaps, for sending me these awesome products to review!! !